A baby Meerkat and Armadillo were among the cool creatures undertaking a recce of Dundee Science Centre today, in advance of an animal family fun weekend taking place this weekend. 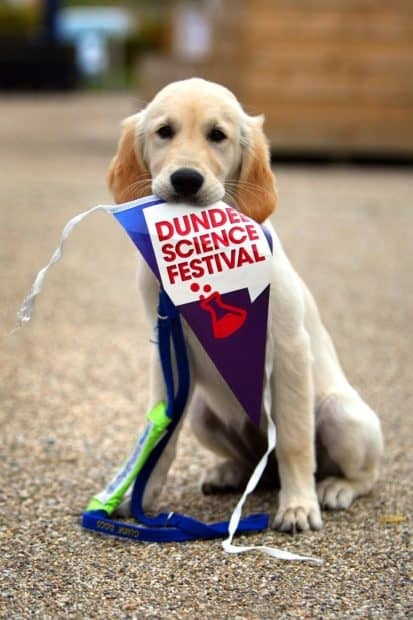 As part of Dundee Science Festival, ‘Animals and the Environment Weekend’ will see a diverse family of creatures descend upon the Science Centre on Saturday 5 and Sunday 6 November 2016, from Guide Dog pups to hedgehogs and snakes. On Saturday, visitors can meet a group of Guide Dog puppies in training, and take part in bookable animal handling sessions, with the chance to meet and touch meerkats, armadillos, snakes and hedgehogs! Similar sessions will also be held regularly throughout Sunday, with a range of creatures from giant snails and hissing cockroaches to a tortoise and tarantula. Or jump aboard the ‘Wild about Scotland’ bus outside on the Piazza, and learn about Scottish wildlife with Royal Zoology Society of Scotland! Throughout the weekend, visitors can also get to grips with crabs and other local sealife in the salt-water tank, learn about the legendary sea eagle and the sounds of whales. The event will run on both Saturday 5 and Sunday 6 November, from 10am until 5pm. Booking is essential for animal handling sessions. Normal admission applies. Members and under 4s free of charge. ‘Animals and the Environment Weekend’ will be followed by the ‘Gaming and Digital Technology Weekend’ on Saturday 12 and Sunday 13 November, the final weekend of the festival.